You are here: Home / leadership / Stop offering to help others..
Stop offering to help others..
Because you know you can’t, and if they call, you gotta answer. 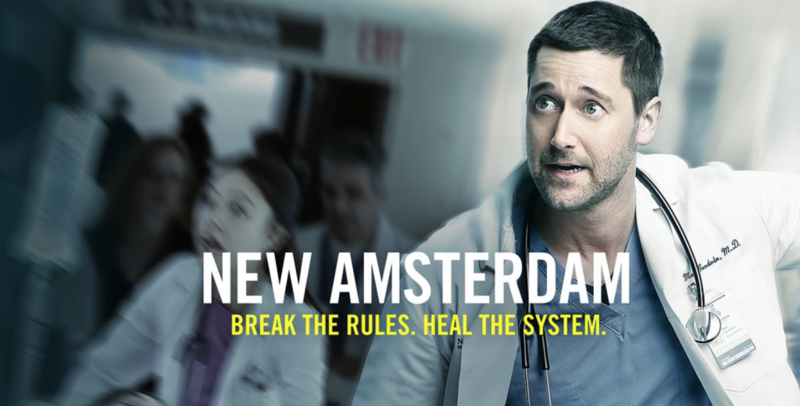 NBC has this new medical drama called New Amsterdam. This line, “how can I help?” is a common leadership teaching. But like so many leadership maxims before, nuance is key to credibility. Because Max is offering to help everyone, while he is losing his marriage and can’t tell his wife that he has cancer. The tale is classic, the driven male ego face to face with losing his family. At work, he’s this great guy. With his family, not so much. He can’t give his wife and unborn child the help they need because he is so busy helping other. The viewer can’t help but see this contradiction. Servant leaders want to help so they offer to help. The genuine desire is not for influence or power, but a desire to help. To Serve. Here is where the problem begins. I worked for a leader once who often used this kind of terminology. One day, I called in the offered help. I felt I needed help. But her perspective on my request was that I would have to figure it out myself. And I did. The sentiment may be true but critically, the offer of help must be legitimate, not just a leadership gimmick. Even if you as the leader don’t always agree. Coaching can come later. Both requests for help were not end of the world requests. At the time though, there was considerable emotion attached to the request. Both tasks I managed to figure out an alternative way. The experiences grew my independence as a leader. And honestly, at other times, she was a helpful leader. My concern for those who want to lead is this. Offer what you can genuinely contribute. If you can’t help, don’t offer a blanket statement . I have a feeling Dr. Max is going to run into problems with hiring more nurses and not having the budget to do so. Father of 3 awesome kids, husband of a tolerant wife. Love of adventure. I've lived in Europe, Africa and the US. I write about life and try to learn from my experiences. I love adding value to other people. I am a respectful follower of the teachings of Christ. I love taking pictures and making videos. My real job is for AGWM. I like movies where stuff blows up and the bad guys get it at the end.